Eagle Crest is a full-service destination resort located just outside the city of Redmond on 1700 acres in the high desert of Central Oregon. Nestled against the majestic Cascade Mountains near Bend, Oregon, Eagle Crest ® boasts over 300 days of sunshine each year with an annual rainfall of less than nine inches. Please call 541-923-4653 for current rates. 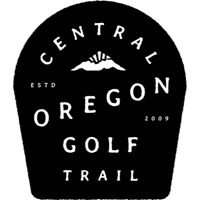 Call 541-923-4653 for rates and tee times. Contact Eagle Crest Resort - Ridge at 541-923-4653 for more information and details on holding a golf outing at the course. Contact Eagle Crest Resort - Ridge at 541-923-4653. Contact Eagle Crest Resort - Ridge at 541-923-4653 for onsite or nearby dining options. This profile was last updated on 11/19/2018 and has been viewed 7,166 times.